Pho Viet Café is Bend’s first Vietnamese restaurant and has been spoiling diners with the authentic tastes of Vietnamese goodness since 2012. Pho (say “phuh”) is a Vietnamese soup that is a staple of Vietnamese cuisine and culture. Pho can be made 20 different ways (no exaggeration) and serves as the cornerstone of Pho Viet Café’s menu. You’ll also find rice vermicelli bowls, yakisoba noodles, rice platters featuring a wide range of marinated and grilled meats, and Vietnamese sandwiches, all deeply flavored, richly steeped in Vietnamese tradition, and freshly made to your exact liking. Pair your meal with a Vietnamese coffee, lemonade, bubba tea, or Thai iced tea, and don’t forget banana coconut cake or ginger coconut crème to finish things off. 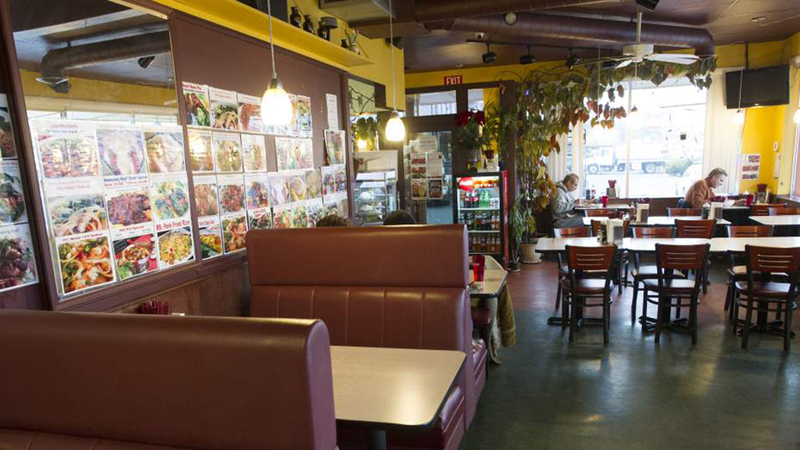 Pho Viet Café is located on NE 3rd Street and is open 9:30 a.m. – 9:00 p.m. seven days a week. If you must, get your order to go. But if you have time, hang out in the restaurant and enjoy the funky décor and the incredibly friendly service that will warm you as much as the bowl of pho in front of you.